Union Minister Prakash Javadekar on Friday said that Bharatiya Janata Party (BJP) president Amit Shah is a 'Sanatan Hindu'. His response came in retaliation to Karnataka Chief Minister Siddaramaiah, who claimed that Shah 'is not a Hindu'. 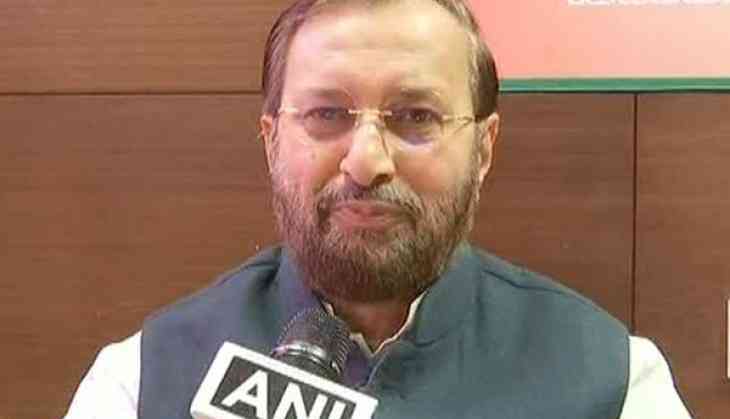 "Let me clarify that Amit Shah and his family for generations have been a 'Sanatan Hindu'," Javadekar told ANI. Remarking at Siddarmaiah's claim, Javadekar said, "Because of their fear of complete rout in the election, they are leveling the worst charges saying Amit Shah is not a Hindu. It's unthinkable. It's the level at which Congress operates." Speaking to media in Mysuru, earlier in the day, Siddaramaiah said, "Amit Shah said I (Siddaramaiah) am not a Hindu, but Amit Shah himself is not a Hindu, he is a Jain. He might believe in Hindutva but let him come out and say he is a Hindu and not a Jain." Shah has been extensively campaigning in the poll-bound state, and Javedekar said that Shah's success through road shows and public meetings rattled the Congress leadership.